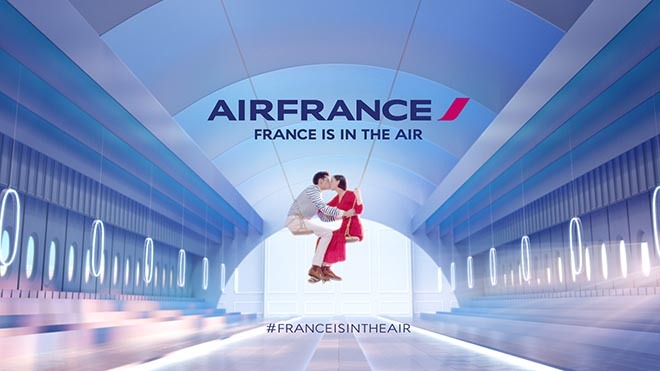 Air France is running “France is in the Air”, a global advertising campaign broadcast on TV, in cinemas, on digital medias and social networks. 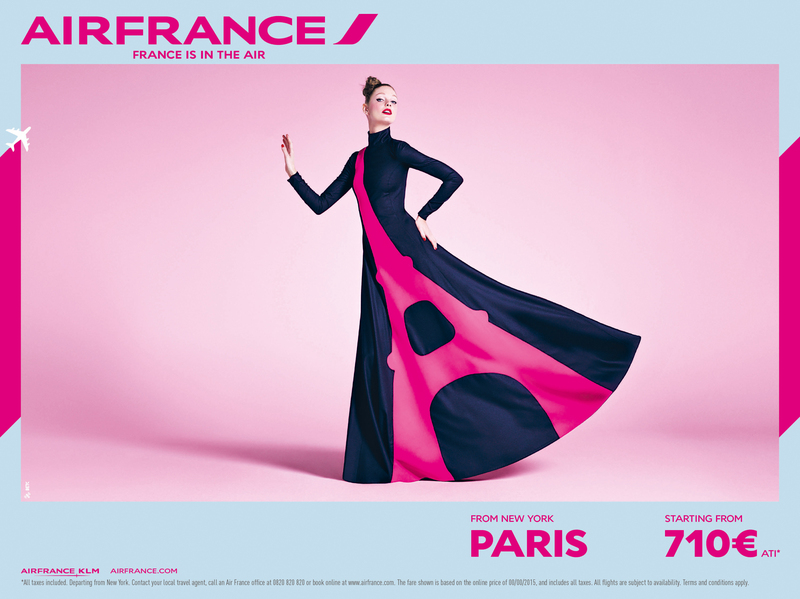 Celebrating the French touch, the film pays homage to the best of France. It is set inside a sort of dreamt up, ballroom-like airplane, with rows of windows and luminous paths on the floor. It is an explosion of pink skies, fashion, the Tour de France, puffy pastry, Breton tops and even features little ballerinas from the Opera Garnier on swings. 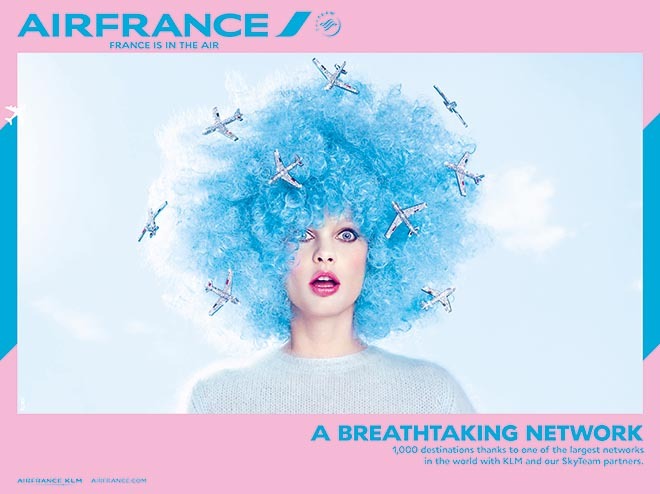 Fashion, fine dining, the Tour de France, the young ballerinas of the Paris Opera and even a French kiss … a series of evocative scenes which reflect the Company’s new attitude, its fighting spirit and its desire to be closer to its customers. The France Is In The Air campaign was developed at BETC Paris by executive creative director Rémi Babinet, creative director Jasmine Loignon, copywriter David Soussan, art director Marie-Eve Schoettl, assistant art director Michael Madou, agency producers Fabrice Brovelli, Caroline Bouillet, music creative director Christophe Caurret, working with Air France marketing team Adeline Challon-Kemoun, Caroline Fontaine, Catherine Masson, Valérie Cornec and Milene Albes. Filming was shot by directors We Are From LA (Pierre Dupaquier and Clement Durou) via Iconoclast with producers Mourad Belkeddar and Maud Fumana. Music, “Warm in the Winter”, is by Portland duo Glass Candy, written by John Padgett and Lori Monahan, produced at Italians Do It Better. Sound was produced at Green United Music by Frederic Monvoisin and Clémentine Libaud. Music was licensed at Kobalt Music Publishing Ltd.